Rides, Games, Fun, and Food – Chincoteague Island style! A great variety of food is available for purchase from hot dogs and pizza to clam and oyster fritters. Rides and games for all ages. Live entertainment on the stage. Try your luck at BINGO too. Open the last Friday and Saturday in June and every Friday and Saturday in July. Also open each night during Pony Penning Week (not Sunday) through July 28th. All proceeds benefit the Chincoteague Volunteer Fire Company. The Fireman’s Carnival leads up to the world famous Pony Swim and Auction always held on the last consecutive Wednesday and Thursday in July! 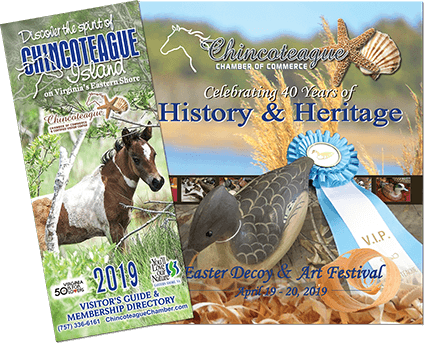 The 94th Annual Chincoteague Volunteer Fireman’s Carnival will run each of the following dates from 7pm-11pm: June 28 – 29, July 3 – 6 (fireworks July 4), July 12-13, July 19 – 20, July 22 – 27 at the Chincoteague Carnival Grounds at 3648 Main Street, Chincoteague Island, VA. Learn more.